Petroleum Hydrocarbon contamination was migrating onto site due to an adjacent permeable reactive barrier having silted up. In situ treatment was required that would allow the site to be redeveloped without disruption. ORC Advanced was applied via injection wells, which were later incorporated into a footpath behind a commercial unit. Treatment was successful and regulator sign-off achieved. The wells remain in place, should further application be required. Residual petroleum groundwater contamination migrating from an adjacent plot was preventing redevelopment of a site. In order to meet planning conditions and for the build programme to progress on time, an aerobic barrier using REGENESIS’ Advanced Formula Oxygen Release Compound (ORC- Advanced) was installed. 25 wells were drilled and installed along the site boundary, where they could be retained within a footpath once construction was completed. ORC Advanced was mixed into a slurry and injected into the wells using an inflatable packer system. A rapid reduction in the groundwater contamination was observed following application within the barrier. The ORC Advanced remained active for around 12 months with no rebound being observed during or after this time. Should further contaminant influx occur, another application of ORC Advanced can be completed without any disruption to the site. 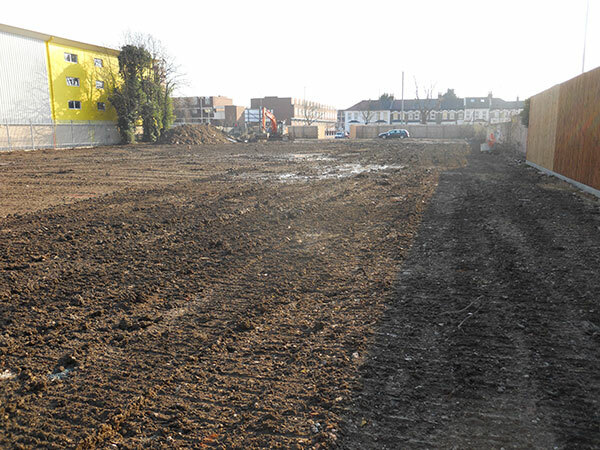 The application of ORC Advanced successfully reduced the contaminant influx onto the site. The treatment was completed with no disruption to the construction programme. The wells were retained on site to allow easy and low-cost reapplication in future if further influx occurs.